"Pollution is a design choice"
Our mission is to help protect land and coastal areas through up-cycling discarded plastic and making them into desirable pieces of art and functional design. All the handmade artworks and products will be on sale via our shop in order to support ours and many other community conservation projects worldwide. We aim to form a collective of artists, designers and innovators from around the world to produce creative responses to using discarded plastic. We know there are many creatives out there who believe Art can make a difference, so this is an opportunity to put their ideas out there. Each creative will be given a brief to transform plastic waste material into beautiful or purposeful artworks that provide the viewer with a new and engaging perspective on up-cycling, the power of community, and the power of art. If you're an artist looking for a new challenge then get in touch. Each project will be well recorded and shared to the world with a public exhibition and via our social media platforms. We will be showing short documentary films along with images of work in progress showcasing methods and initiatives on how to changing our relationship with the plastic we invest in. To coincide with our exhibitions, there will be workshops for the public on how to upcycle in fun and imaginative ways while inspiring them on how they can make smarter decisions with unwanted plastic items. Join our mailing list to stay informed on our news and future events. 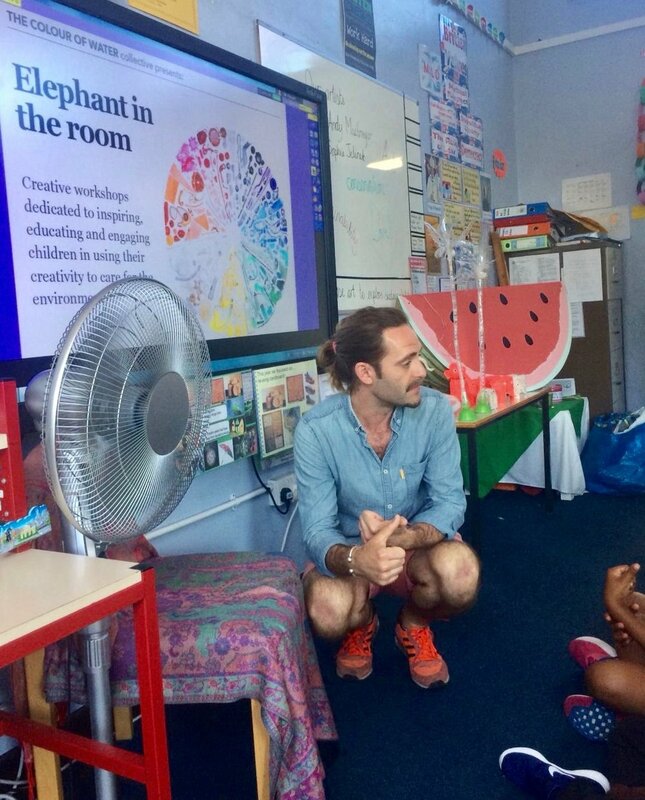 As part of our education programme, we aim to work with primary schools and art colleges in the UK and around the world to educate and inspire at a grass roots level. The aim? To create exciting opportunities for aspiring artists and creatives to build a better understanding of the impact plastic waste has on our waterways and oceans and encourage them to provide their own creative solutions. We aim to empower school children and students with the knowledge that they can make a difference in the fight against plastic waste and learn how to upcycle creatively with unwanted household plastic items.